Luckily Amy’s quick thinking meant that Edith was soon on her way to hospital. Amy told us the story. “I had just given birth to my baby four days previously when she was struck by bacterial E. coli meningitis." “My little girl Edith June looked in pain with wind. I quickly picked the phone up to call 111 because I felt inside that something wasn't right. I then heard a loud grunt so I put the phone down and called 999. Whilst on the phone I noticed that her toes were going purple." “The ambulance came within 10 minutes. They hooked her up and her little heart was going crazy. 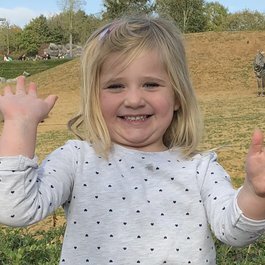 We went straight to Royal Stoke hospital and on the way I kept talking to little Edi and praying for her not to lose consciousness – which she didn’t." “At the hospital, we were rushed to resus where a team of amazing people were waiting. The IV for antibiotics went straight in, lots of rushing and shouting. They scanned Edi's heart and then told us the news that she was going to be put on to a ventilator." “We were rushed up to intensive care where they were amazing. They said they thought it was Edi's heart and after speaking with Birmingham Children’s hospital we were transported to Birmingham that evening." 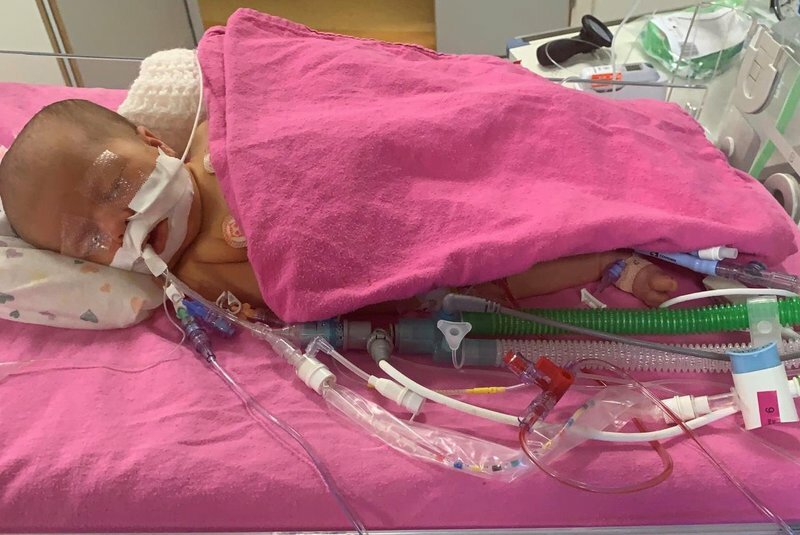 “The next day though we were told that her little heart was fine, and that they thought it was just an infection and part of that was the sepsis. 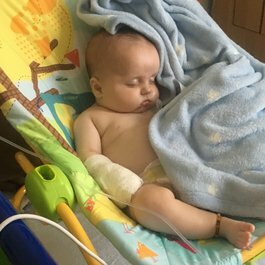 Royal Stoke found bacteria in a stool sample, so they did a lumbar puncture and then we were told the news every parent fears: meningitis." “The first thought in my mind was brain damage but no doctor can give you the outcome, only the what ifs. For me that was the worst day of my life. I had no reason to continue eating or drinking. I started to feel it was me." 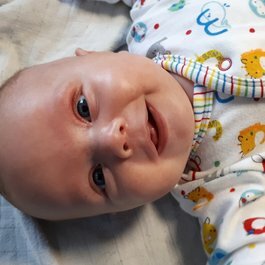 “My pregnancy had been awful, I was always ill with infections - urine, chest, ear… I had an awful prolonged labour, I kept saying something wasn’t right and I stopped feeling her move five days before my planned induction. But no-one would listen. It took 28 hours of labour and an emergency caesarean section before I finally had her, after begging, crying, even offering to pay!" “Edith June was finally born at 37 weeks and one day, weighing 7llb 15oz of perfectness. We stayed in hospital for two days, then I was discharged. The midwife came out in the afternoon and checked her over – all was fine. It was the next morning when our nightmare started." 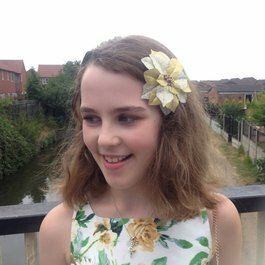 “Back in Birmingham, they told us they feared she may fit so put her on a computer to monitor her brain activity. That seemed the longest 12 hours of our lives, but we thanked God that she didn’t fit." "The lumbar puncture indicated that she had 1800mgs of white cells, so we kept praying for her. By this stage she was breathing for herself and feeding. We were on day 15 of her little life and already day 10 on antibiotics." “All I can say is there were no signs other than the wind-like symptoms, the grunting, and her purple toes. All we could do was hope for the best outcome, but I would have never as a mother thought my child would get meningitis. We had lots of information about rashes and temperatures, even on the notes that they give when they discharge you the grunting noise is under the section Call the Midwife. In our case this was one of the main signs. I really feel people need to be more aware and just go with your gut feeling - if it’s not right, call 999." “My auntie is an ex nurse and she found me the Meningitis Now website after I refused to Google the outcome. I didn’t want to get terrified about what the internet may say. She printed me off some of your fact sheets and I have been giving them out so my close family and friends can have some of their questions answered. We know every case is different and we just keep strong for Edith and pray every day for another day of her life."